A federal grand jury and North Carolina regulators are investigating Duke Energy, the nation’s largst electric power holding company, as part of a widening criminal investigation initiated by a massive coal ash spill that coated 70 miles of the Dan River with toxic sludge back in February. The Dan River spill was the third largest coal ash spill in the nation’s history – an estimated 39,000 tons of coal ash were released. 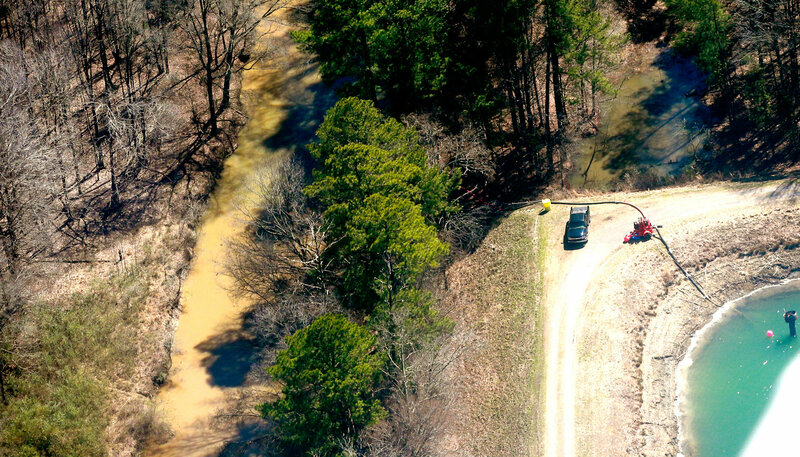 Since the Dan River spill the company has been cited for eight more violations. A couple of weeks ago Waterkeeper Alliance took aerial photographs showing that Duke Energy has been pumping coal ash into a tributary of the Cape Fear River, a local drinking souce. The state is now testing water in the river to check for contaminants. There are several towns and cities downstream of the most recent spill, but none of them have reported any problems with their drinking water so far. Duke has unlined coal ash pits at 14 power plants in North Carolina, and all of these were cited last year for polluting groundwater. 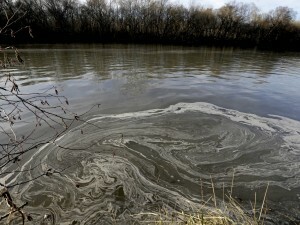 Coal ash is a byproduct of burning coal and it is highly toxic to humans and wildlife. 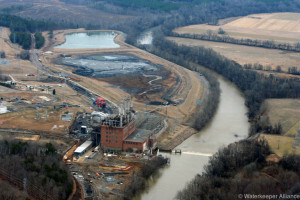 Coal ash contains arsenic, lead, mercury and more than a dozen other heavy metals. 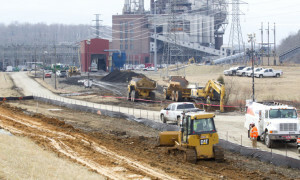 Studies from the EPA have found that people living within one mile of unlined coal ash ponds can have a 1 in 50 risk of cancer. North Carolina regulators have withdrawn a coal ash violations settlement the would have allowed Duke Energy to resolve environmental violations by paying a $99,000 fine with no requirement to clean up its pollution. the water inthe Dan River in Danville, VA.
State regulators now say that they will partner with the U.S. Environmental Protection Agency (EPA) to pursue joint investigation and enforcement against Duke Energy for Clean Water Act violations related to the Dan River spill and new concerns about the illegal dumping of coal ash at another of the company’s facilities. Duke Energy has a clear record of complete disregard for pollution and environmental laws. Unfortunately, Duke has so much clout in the North Carolina legislature that it will be difficult for regulators to punish Duke with penalties that match the crime.